This comic makes a lot more sense if you've read this comic first. See? There's a reason that third panel there felt familiar. And if you're unclear about who any of these people are, check out the Great Jumping-On Point for New Readers. 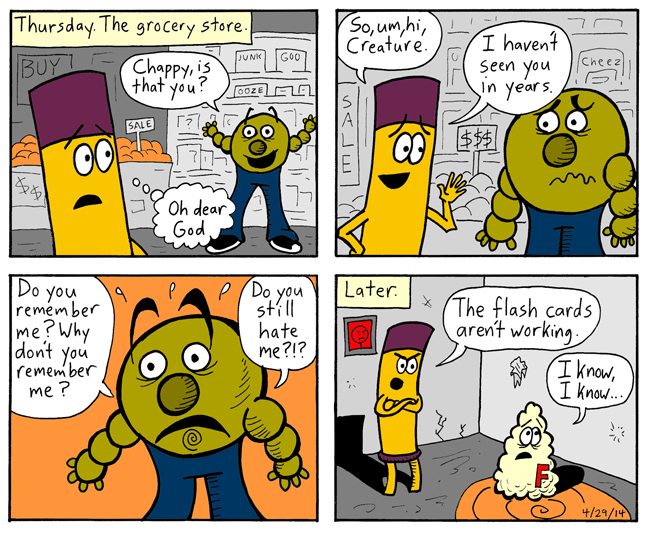 Today's comic, like the previous few, was drawn by me and written by "Dainty" D.F. French. It's been awhile since we last saw Scuzzball, but don't worry, he'll be back next week.